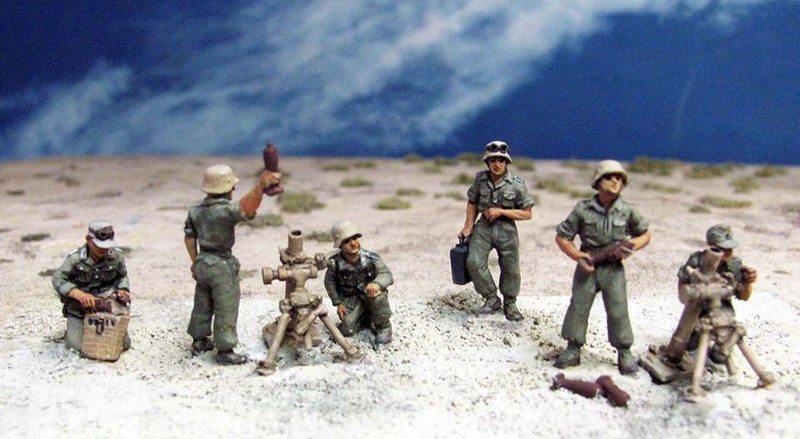 AB Figures’ latest releases in 20mm are for the German Afrika Korps, adding infantry and more artillery crews to the existing sets. Please note that all Afrika Korps sets have been re-coded and start AB-ING7 – the Fighting 15s site has been updated to reflect this change. Future releases will include an infantry command set and engineers. These are not yet available in the UK.